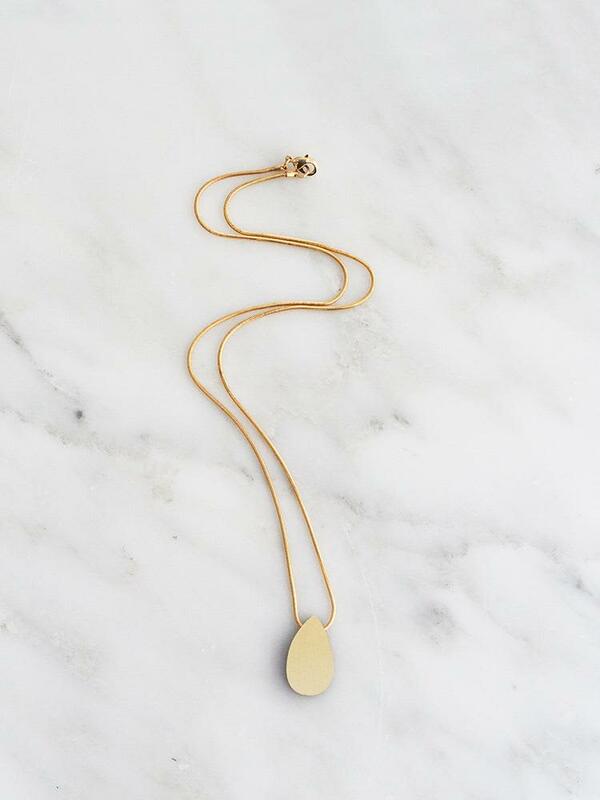 Pendant necklace with a raindrop design made with brass from Wolf & Moon. Collection No.9 combines unexpected materials with simple forms and movement. Designed for the modern woman, it is playful and bold with eye-catching statement pieces and elevated essentials.